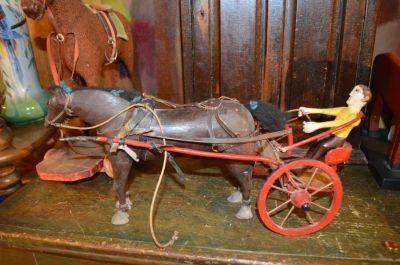 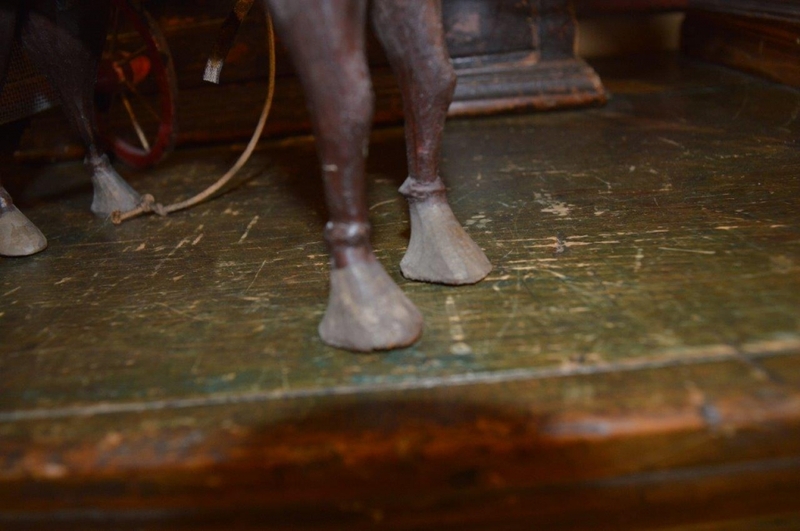 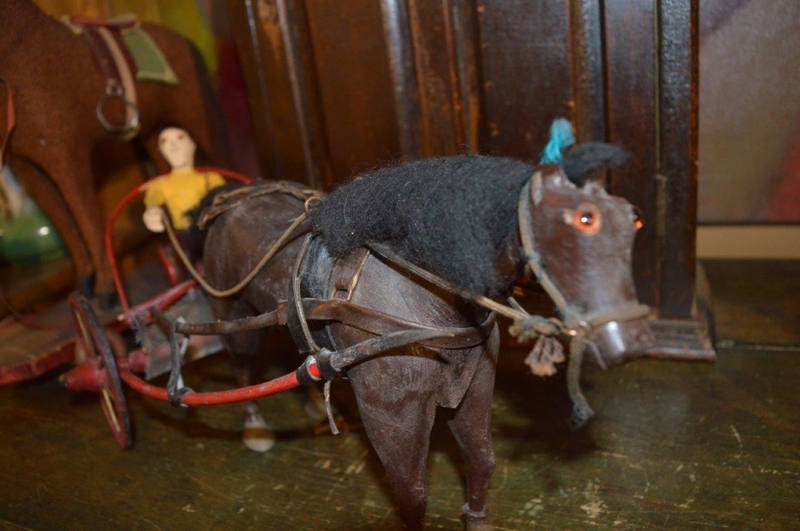 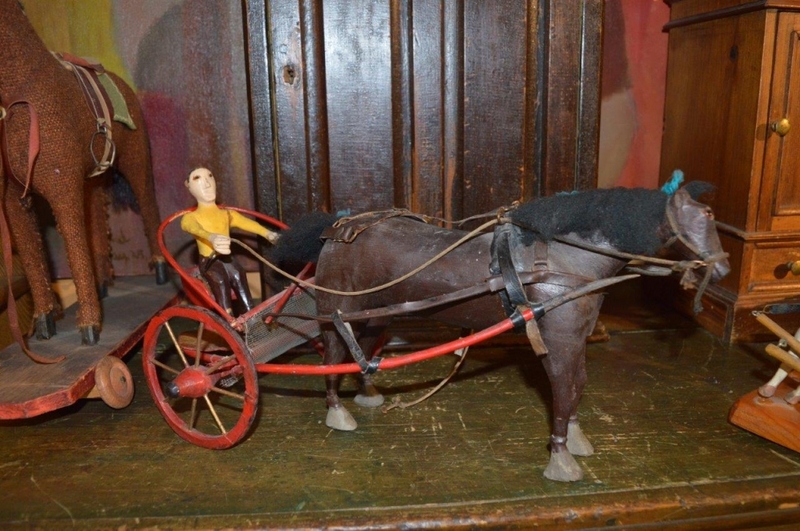 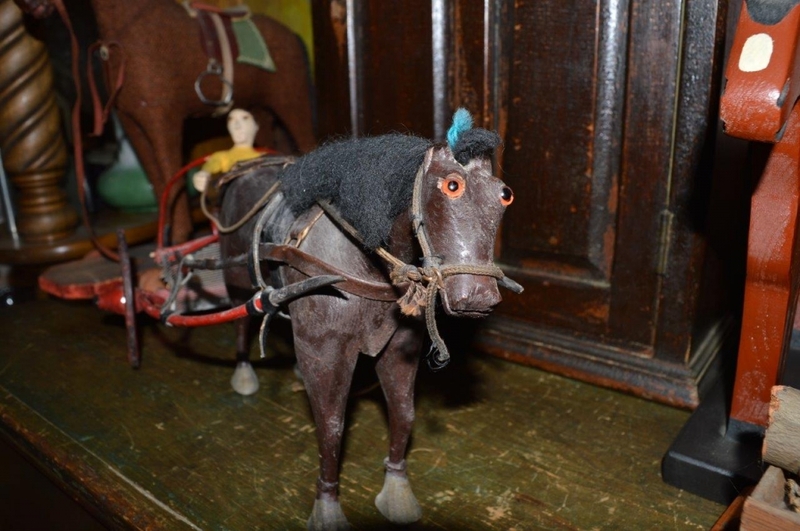 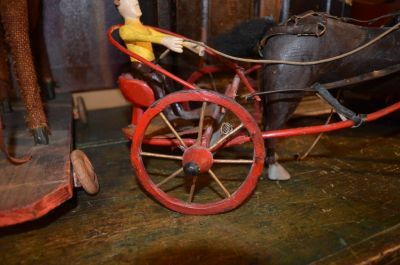 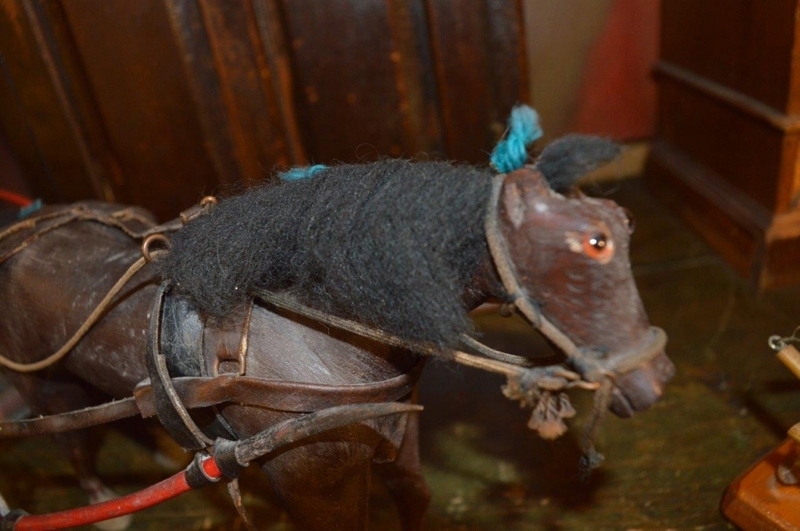 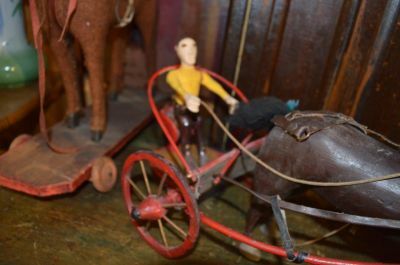 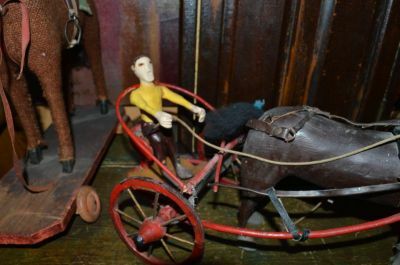 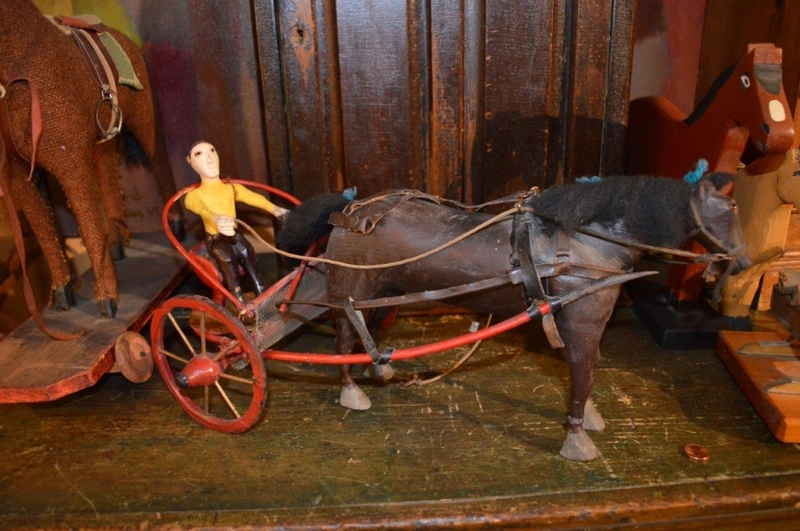 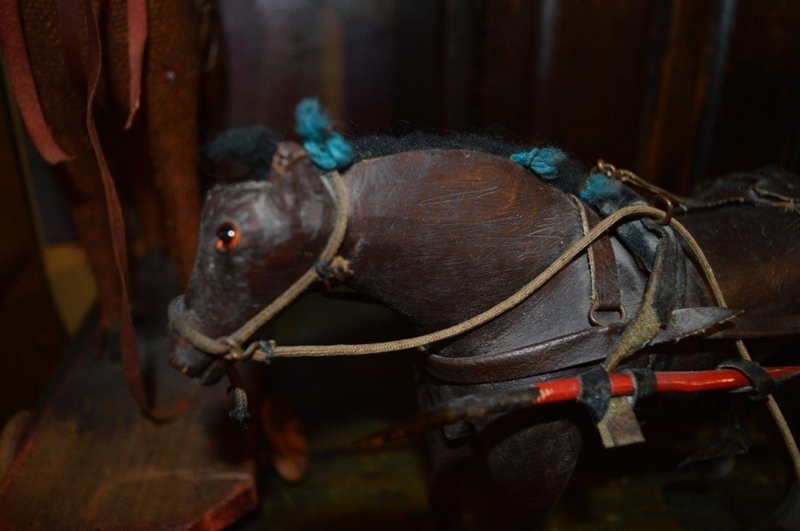 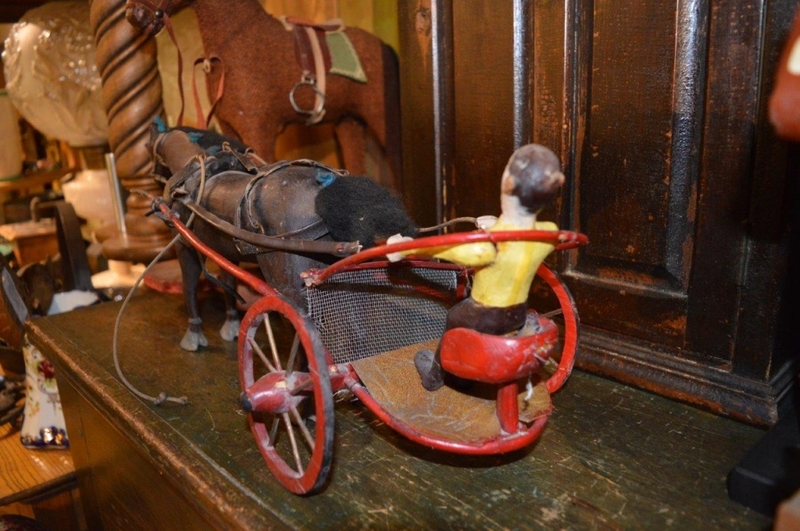 Home-Antiques-Harness race horse and rider. Harness race horse and rider. 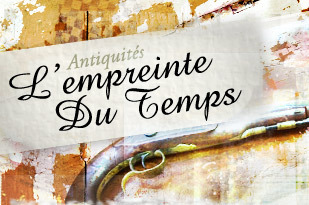 Nice folk-art piece out of a nice collection in Montreal West Island. 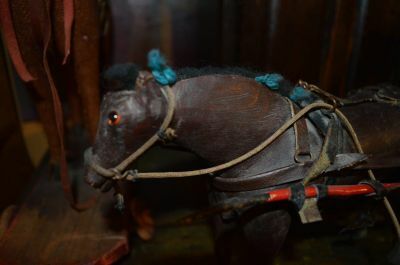 I believe it to be from the 40/ 50's , nice colors and naive carving. overall lenght 16 inches.